Have you ever thought about updating your home? Perhaps it has been quite a while since your home experienced any kind of upgrade. Maybe there is a room that could do with an update in decor and design. In any case - if it's just a room or an entire house - the floor can make a huge difference. Perhaps you are considering to sell a property - either a house or a commercial unit. It is well known to most people that laminate flooring will allow you to sell the property at a higher value. Laminate home flooring adds a good touch to the finish, and the higher the standard the property is finished at, the higher asking price. It looks much nicer and makes rooms look cosier. There are several important aspect why laminate flooring is considered better than other flooring options and which parts of the property should you use it for. Laminate is a material which has a long lifespan because it doesn't allow anything to scratch it. It is covered in a protective layer and resin that coats all the individual planks. It is perfectly suitable for the areas in your house you use the most, especially if there are animals or children in the house. It means that the normal wear and tear doesn't happen. You should choose laminate that has an AC rating of 3 and higher if you have children or dogs, because they can easily damage any other kind of flooring. When people are doing renovations and upgrades, sometimes they want to save money and do as much of the work they can themselves. Laminate allows you to do exactly that. Installing laminate in big square footage (for example 200 sq. Feet) is possible in just two days. The newer the laminate the easier it is, since older types were more complicated. You were required to glue the pieces together, but these days they lock together like jigsaw puzzle pieces. You can also cut them much easier than ever before. Sometimes you will need to put more work into it if the locking mechanism isn't working quite as well as you would think. It will also be a little bit more challenging with an irregular shaped spaces, so be careful when adjusting shapes and sizes to avoid damaging the top layer of the laminate. If you are not quite sure where to start, ask your builders to give you a hand. They will be able to show you how to install the floorboards, and then you will be able to take it from there. It will save you costs of flooring change, and if you can employ help from friends and family, it will be done in almost no time. Laminate is easy to keep clean. The spillages can be wiped up and they can be easily vacuumed. If you need to do a deeper clean - mop your floors with a slightly dampened mop. For better results - buy a special floor cleaner that has been specially created for laminate floor. You don't need to wax the floor to make it look like new. However, you should be aware that if spillages don't get wipe up quick enough, the water can trickle between the boards and then later cause them to swell. 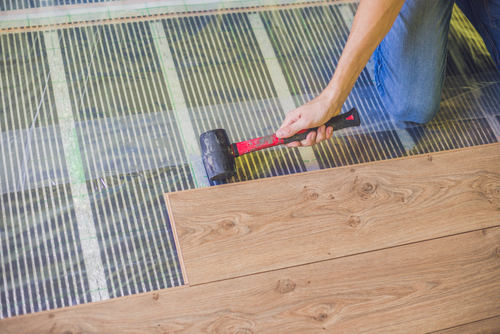 Even though this kind of flooring can be put into kitchens and near bathrooms, you need to be even more aware about the quality of installation and perhaps avoid doing it altogether. Kitchens are better suited with tile. If you are performing a house renovation Singapore, speak to your contractors about the best ways to avoid swelling of your floor. The more care you take of it, the less money you will have to spend in replacements. In the worst case scenario you might need to break up large sections of the floor to replace the damaged boards, and that come up as a significant cost. It is one of those floor types that can seem quite hard without installing an underlayment. If underlayment is in place, the floor will seem more bouncy, making it easier to stand up for longer periods of time, for example, cooking or washing dishes. However, you might need to think about how slippery this flooring is. Wearing socks without slip protection might cause you to endanger yourself, so perhaps you need a rug. There are now types of laminate with anti-slip protection already in place, but older versions have nothing like that. Also, if you have pets, in particular dogs - their feet will most likely find the flooring very slippery. If you have children - be wary of their little feet flipping on the floor as well. Better safe than sorry. If you decide to go for laminate instead of wood you can save quite a lot of money doing the renovations. It will still give your rooms a classy look but the asking price will be different. It means you can save on costs, have a house you like and if you ever decide to move on – it will contribute to the sale. When laminate was just introduced, there were no design options, but now they come in a variety of styles. 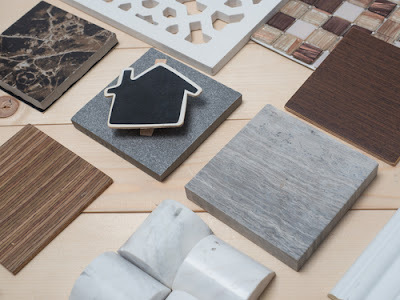 You can buy laminate in different colours and even stone and tile finishes, offering you more diversity than ever before. Laminate is sold all over the world and is becoming popular in places it never used to be number one flooring material. It has a lot of flexibility, but no material is perfect. You should always carefully consider where you want to install the laminate because places like a utility room should be left in tile. Don’t be surprised if your floor doesn't sound like wooden floor would. It resembles hardwood but it definitely is only hardwood’s cheaper cousin. If you can afford hardwood floors - that's a whole different conversation. One of the best aspects of laminate is the fact that it doesn't cause allergies. It doesn't have any fibre that could cause an allergy to flare up, so it's safe and clean. However, it can create quite a bit of static if it isn't kept clean enough, so give it a hoover more than once a week to avoid gathering up static electricity on your way.